The wig you see here is brand new, out of the bag, and NEVER been worn! It was going to be used for a Fuu from Magic Knight Rayearth cosplay, but unfortunately, I had to ditch the character due to costume issues. Now, this beautiful, unworn wig can be yours! So, the photos here show its true color blonde. The back is some what flipped, but I think it can be straightened if you needed to. Also, it's very soft to the touch. Not only do you receive the wig itself, but also the styrofoam head that it sits on. So, what you see is what you get. Please pay me by money order. I don't accept PAYPAL! Just make sure the money order is concealed very good so it won't get lost. I'm sorry, but please no international buyers. Only buyers within the US. If you have any questions or concerns, please PM me here. I've set up an eBay ad for this wig. Mind you, I still have it, but if for some reason that it's been sold on eBay, I'll let everyone here know. So do check out the eBay ad for this. 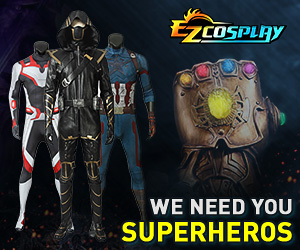 Please note that the eBay ad is a little different from the Cosplay.com ad. Can an Admin or a Mod please close this thread/ad. I no longer have the wig in my possession. Thanks so much.